FFA - Universal Studio’s new movie Non stop demeans 9/11 families, degrades combat veterans and advances Islam. Universal Studio’s new movie Non stop demeans 9/11 families, degrades combat veterans and advances Islam. Universal Studio’s new release Non stop demeans 9/11 families, degrades combat veterans and advances Islam. The email for this article was deactivated for time lapse on issue. 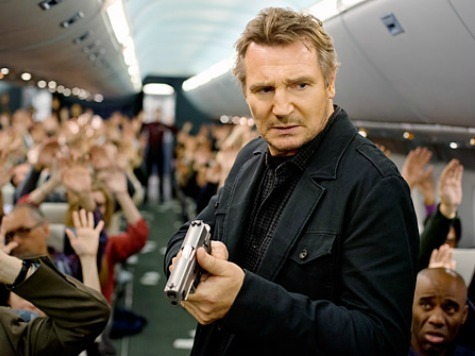 Universal Pictures new movie titled “Non-stop” contains story line that demeans 9/11 families, degrades combat veterans and promotes Islam according to the Breitbart.com article titled 'Non-Stop' Review: Liam Neeson Thriller Hits New Left-Wing Low. Universal Pictures is a subsidiary of NBC Universal which is owned by Comcast Corporation. An added dash of moral vanity is the side story making news that Liam Neeson wants to convert to Islam , the religion he deemed in an interview to be “the answer.” Not sure what the question is, but apparently Mr. Neeson is more afraid of his Irish countrymen than his would-be co-religionists. Normally Hollywood gets a pass, with reviewers issuing “spoiler alerts” when revealing details. Sorry. Sitting through this movie for that sucker punch of an ending isn’t worthy of my consideration. I urge people to pass this on. Florida Family Association has prepared an email for you to send to NBC Universal officials that conveys strong disappointment regarding the content of the movie Non-stop. and Co-President of Focus Features.